The Indiana University-Minority Serving Institutions (IU-MSI) STEM Initiative has already helped several student and faculty researchers advance their educational and career goals. Now, through a memorandum of understanding signed Wednesday, September 20, 2017 in Tallahassee, Fla., even more in their ranks will have the opportunity to gain extensive experience in the laboratories of a Research I university while making important professional connections that can serve as a potential springboard to additional success. Through the Fully Engaged Partners component of the IU-MSI STEM Initiative, IU and its partner institutions will nearly double the number of students participating in the STEM Summer Scholars Institute (SSI), which will welcome its 12th cohort next summer. As the initiative expands, nine minority-serving institutions—which include Historically Black Colleges and Universities, Hispanic-Serving Institutions (HSIs), and Tribal Colleges—will become partner institutions. 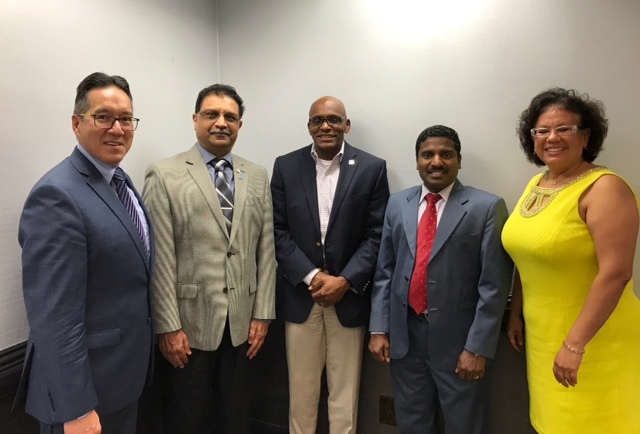 Clark Atlanta University, Jackson State University, Langston University, Salish Kootenai College, Tuskegee University, the University of Texas at San Antonio, the University of Texas Rio Grande Valley, and the University of California, Merced have all already signed the agreement, though an additional 11 institutions could be become Fully Engaged MSI Partners by the end of the academic year. Since 2015, a five-year, $1.66 million grant from the Department of the Navy has helped the initiative involve faculty and increase collaborations designed to become a self-sustaining and replicable model. As part of the Fully Engaged Partners component of the IU-MSI STEM Initiative, partner institutions will each annually invest $5,500 to support faculty and student research engagement, while IU and the Department of the Navy will triple that investment for a robust partnership. That means more students from minority-serving institutions can have the opportunity to participate in a research experience where they have two sets of faculty mentors—one from their home institution and one from IU—and can extend their research throughout the academic year. Meanwhile, IU faculty will be able to forge new collaborations on research with their peers from minority-serving institutions, forming mutually beneficial relationships in the process. 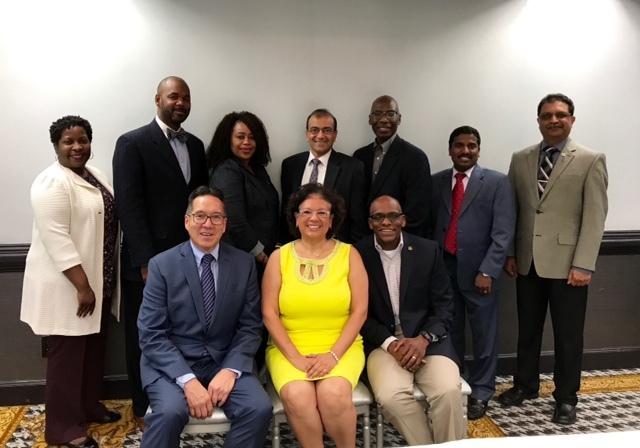 Furthermore, added Yolanda Treviño, co-principal investigator of the IU-MSI STEM Initiative and assistant vice president of strategy, planning, and assessment in IU’s Office of the Vice President for Diversity, Equity, and Multicultural Affairs (OVPDEMA). “Student scholars are more prepared for STEM futures because of the time they’ve spent working in faculty-mentored labs. Initially, I was a bit nervous, because I didn’t know if the skills I had would translate to an R1. But I found out that all my skills were transferable, so it really helped me gain a lot more confidence in my skills as a researcher and helped me refine them as well. “The vision for this initiative when it comes to fruition is that there are connections between individuals from different institutions and from those different perspectives, participants—both faculty and students—will be able to look at their research through a new lens because of their experiences in this initiative,” continued Treviño. The benefits of taking part in the initiative is evident in the success of its alumni. For example, Kristen Lewis, a Ph.D. graduate of Jackson State University in Mississippi (one of the IU-MSI STEM Initiative’s Fully Engaged Partners), credits her exposure to faculty mentors through her participation in SSI with her early-career success. “It was really nice to get to know students from other universities who were both in my field or in completely different fields. Also, it was great because I came from an HBCU and IU is an R1 [Research I university]. Initially, I was a bit nervous, because I didn’t know if the skills I had would translate to an R1. But I found out that all my skills were transferable, so it really helped me gain a lot more confidence in my skills as a researcher and helped me refine them as well,” said Lewis, who is now an assistant professor in the department of chemistry and biochemistry at Bloomsburg University. The upward career trajectories of Lewis and other students, including a number of past participants who recently completed their doctoral degrees and successfully defended their dissertations, is obviously ideal for both IU and its partner MSI institutions. But it’s the possibilities for the future that excite Jack Schmit, director and co-principal investigator of the IU-MSI STEM Initiative. “For me, the most gratifying part of this work is watching both faculty and students get excited about research. It’s very rewarding to watch their excitement turn into future plans and know that we had an impact in that process, by providing students with experiences to increase their confidence and broadening faculty experiences,” said Schmit, who also serves as the assistant dean of IU’s University Graduate School. “The ultimate success would be witnessing someone who went through our program 10 years ago, who is now a faculty member at a partner institution, who sends one of their students back to IU to have a summer internship while working with an IU faculty member on joint research.